Get 200% up to £200 & 200 free spins! Editors note: Before we get into the nitty gritty of our Unibet Casino review it’s important to point out the quality new player bonus the company are offering. It’s a 200% deposit bonus up to £200 and includes up to 200 free spins with it. To get all 200 free spins you’ll need to deposit £100 or more (£50 get you 100 free spins). Most other casino bonuses are 100% and that’s your lot so 200% and free spins is a right bargain. Perhaps the only famous provider not included in the above list is Playtech, and their absence does mean that the Unibet Casino is one of only a few sites where their instantly recognisable Marvel games are not hosted. Players should forgive the Unibet Casino this, however, as the variety of games that are offered is exceptional. A great many different video, traditional and progressive jackpot slots are all provided and there are even interesting games themed around the band Guns N Roses and the hugely popular Game of Thrones TV show. Play slots & get your 200% up to £200 bonus & free spins! The promotion run by Unibet Casino for new customers is one of the most interesting and generous around. It provides a 200% deposit bonus, up to a maximum of £200, and up to 200 free spins depending upon the size of the customer’s initial deposit. Visit Unibet.co.uk/casino on your mobile, tablet, laptop or PC. Tap or click the yellow ‘Register’ button located toward the top right hand corner of the page. A multi-page registration form will then pop up, which you need to fill in and work through using the yellow ‘Continue’ buttons. Once your new account is created, make an initial deposit and ensure that it is worth at least £10. 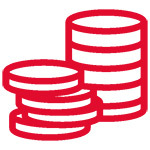 Bonus funds worth 200% of your deposit amount will be instantly credited to your account, up to a maximum of £200. Up to a maximum of 200 free spins will also be credited to your account, dependent on the size of your deposit. Get your 200% up to £200 bonus & up to 200 free spins at Unibet! The promotion is limited to just brand new Unibet customers. A customer must deposit at least £10 to their newly created Unibet account in order to trigger their bonus funds. Bonus funds will be worth exactly 200% of that initial deposit, up to a maximum of £200, and will be credited immediately. The bonus funds can be used for casino games, live casino or bingo. A customer cannot make a deposit from their account until such a time as the bonus is completed. The bonus is deemed complete, and withdrawals are once again possible, once an amount equal to 35 times the bonus amount has been wagered. Those wagering requirements must be complete within 30 days of the bonus funds being credited. If they are not, the bonus is void and any remaining bonus funds – as well as related winnings – will be removed. Any cash balance in a customer’s account will be used before bonus funds are played with. Not all games contribute to the above wagering requirements equally. Slots contribute 100%; bingo contributes 200%; table games and video poker contribute 10%. Upon registration, every new Unibet Casino customer will be credited with 10 free spins. Those free spins are available for use on the following games; Twin Spin, Fairytale Legends: Red Riding Hood, Jack and The Beanstalk, Motorhead and Gonzo’s Quest. Further free spins will also be credited, up to a maximum of 190, according to the size of the customer’s initial deposit. 40 will be credited if the deposit is £10 or more, 90 will be credited if it is £50 or more, 140 will be credited if it is £75 or more and 190 will be credited if it is £100 or more. Any winnings resulting from the use of free spins go into an account’s bonus balance. They must be wagered a total of at least 35 times before any withdrawal is possible. The above wagering requirements must be completed within 30 days. Visit the Unibet casino for full T&C’s for this offer. Prospective Unibet Casino customers who use either an iPhone or an iPad can download a dedicated Unibet Casino app from the App Store. Users of other devices, meanwhile, can simply visit the Unibet site via their web browser and will benefit from a very similar service. The Unibet Casino mobile offer is simply excellent and there are a great many things that make it so. Firstly, unlike some largely web browser based options, the Unibet mobile site is quick to load and to navigate. What’s more, the site is also easy on the eye and boasts a number of innovative and user friendly features. Games displayed on the site, for instance, can be filtered by a number of different categories to make it easier to find what a player is looking for. That’s invaluable, too, as the sheer number of games made available to mobile customers is outstanding. There are literally hundreds featured on the mobile site, and they include table games, casino classics, slot games and even live dealer options. Most of those games, too, boast a play for free option as yet another plus of the Unibet Casino mobile offering. In all honesty it is difficult to pinpoint any real weaknesses of the Unibet Casino mobile offering. Android users may perhaps prefer to have a downloadable app, but the web browser based offering is excellent and it’s hard to imagine how an app could better it. A specific mobile customer welcome offer or ongoing promotions solely for mobile customers might be nice, but very few company’s offer these and not having them doesn’t really take away from the quality of the Unibet Casino mobile site. Get app, 200% bonus & up to 200 free spins bonus! A good measure of how well an online casino serves its customers is how well it deals with the questions and issues those customers have. Unibet Casino offer a number of different methods by which its customers can seek solutions and answers to such queries, and the first comes in the form of a dedicated help section on their site. That help section can be easily reached from any page of the site and features an a-z glossary of betting terms, as well as frequently asked questions on a variety of different topics. Those topics include things like depositing funds, technical issues and game rules, and the entire help section is easily searchable by keyword. If a customer’s particular problem is not resolved by Unibet Casino’s online help, there are also a variety of ways in which they can contact a member of Unibet’s customer service staff. An online live chat feature and telephone helplines are available 24 hours a day and seven days a week, and boast response times of approximately one minute. Email enquiries can be sent, too, via info-uk@unibetsupport.com and a reply can be expected within 24 hours. The Unibet Casino is operated by a company called Platinum Gaming Limited, which has a registered office at Suite 2B, 143 Main Street, Gibraltar, GX11 1AA. For customers accessing the service from outside of the UK, therefore, the company is licensed by the government of Gibraltar and regulated by the Gibraltar Gambling Commission. For residents of the UK, meanwhile, it is licensed and regulated by the Great Britain Gambling Commission. As an extra assurance of their fairness, too, Unibet Casino have had the random number generator which runs their casino games tested and approved by Canadian company Technical Systems Testing. Personal and financial data shared with and through the Unibet Casino is also in save hands, as the company’s online services can boast a 128-bit SSL certificate issued and verified by world renowned company Trustwave. Comparative new kids on the block, in contrast to some of the more established names in online gambling, Unibet provide an online casino offering that is second to none in almost every respect you can think of. The company’s welcome bonus provides a great example of just that. Able to provide a maximum benefit of £200 in bonus funds and 200 free spins, it is one of the most generous and the market, and yet is subject to wagering requirements which are comparatively friendly and certainly not as harsh as some. Unibet Casino’s selection of available games, too, stands up well to scrutiny and compares favourably to the number and variety of titles provided by almost any other casino client. As if that weren’t enough, the Unibet Casino mobile offering blows many of its rivals apps clear out of the water, thanks to its user friendly nature and stunning collection of games. Get 200% up to £200 & up to 200 free spins!